8. Metabolism of Preimplantation Embryo Development: A Bystander or an Active Participant? 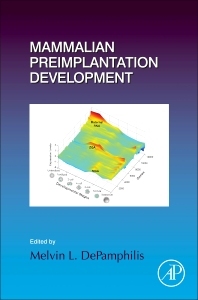 Mammalian Preimplantation Development, the latest volume in the Current Topics in Developmental Biology series covers mammalian preimplantation development, and includes contributions from an international board of authors. The book's chapters provide a comprehensive set of reviews covering such topics as cell proliferation, cell differentiation, and biological significance.